The beginning of the ancient area is considered in 329 BCE, with the the Delians being the first outsiders to encounter what is now Hejaz. Ancient Delian records at the time speak of a far away place, which was named "Makros" (lit. "distant"). The Delians soon returned, bringing with them settlers to settle the land with it's fertile soil and natural harbors, which would trade with the Delian city states. Throughout it's early years Makros served as a colonial post for the Delian city state --. Opposition to this role grew considerably over the years due to the distance between the polis and --. This opposition came to a head in the early part of the 1st century BCE, when their fleets fought one of the first naval battles in history. Led by Kleitos of Arae, Mykros defeated --, to become its own independent city-state. according to Thucydides. These hostilities eventually contributed to the --- War in Delos. The state was spared the devastation faced by others during the war, due to it's relative isolation and self-reliance for trade. Makros soon developed it's own culture (which later became known as Bakri, borrowing several traditions from Delos, while the languages grew apart. However, Kleitos died in 98 BCE, and his generals could not agree on who would take over as King, which led to Makros' division into 4 influential city states. Delian traders spread their religion Dodekathiesm throughout the region, later becoming the basis of Bakri society. The idea of democracy flourished in Arae (by far the most influential states), with one of the first democratically elected governments in history. Beidar nomads attacked the state several times, but a final assault in 93 BCE seriously weakened the city-state. Infighting within the influential families of Arae gave way to the sacking of the city by rival states. The Bakri leader "Heron" seized power in 73 BCE, and began his military campaign aimed at unifying the warring states, under the control of Arae. Under his leadership, the Bakris became know as the Andals, named after Andal, the Delian name for the god of war. Aggressive expansion occured throughout the next two decades, with the Andals seeing ten different wars, which became known as the Warring States Period. An alliance of the three remaining Delian city-states eventually defeated and executed Heron in the Battle of Has, before disbanding the Araean democracy and exiling several prominent scholars. This was one of the leading causes of the beginning of the Bakri Dark Ages, while ushering in a period of economic and military decline. The Dark Ages of Andal society would last until the acceptance of Beidar culture in 400 BCE, which re-ignited religious and scientific interest. The Sargonians were the first to permanately settle within what is now Abbasid. The Sargonians settled along the fertle plains in between the Afzal and Ashfaq Rivers, in present day Esdaad. They soon spread along the two rivers, reaching the Kabier Gulf. The Sargonian Empire (2334–2154 BC) was founded by Farja the Great, who led the Akkadians through the wars with the rival Jurabs to the east. The Akkadians soon established their capital, Assur. In 2337 the Akkadians crushed the Jurabs, slaughtering many, and taking the remainder as spoils of war. During this time period slavery in Sargon thrived. Around this time the Sargonians were able to advance their knowledge of irrigation, and tool making from different material. Several tablets were unearthed in Esdaad, carrying stories of widespread death and destruction following the fall of Jurabs in Central Althena. The troubles after the war caused several Assyrian faction rebelled against him, and were ruthlessly crushed by the armies of Farja. Despite the failure of the rebellion, a similar uprising occured in 2298 resulted in the death of Farja the Great, and the beginning of Sargon's decline. The Sargonian Empire was eventually destroyed by internal civil war and economic decline. The Fall of Sargon gave rise to the Assurians, who rebuilt their capital over Assur. The city-state of Assur remained an unimportant settlement until the reign of Ekurzakir. King Ekurzakir defeated the neighboring Kingdoms of Atrahasis, Hillalum, and Rihat, spreading Assurian influence throughout the then known "four corners of the world". King Ekurzakir also laid out the Empire's laws, which became known as Ekurzakir's Code, which cemented the basisi of everyday Assurian life. However the Assurians weren't gifted with defence along the two rivers, and soon after the Assurians were driven out of the Kabier Peninsula by the newly organized Kabiers. The Kabiers, led by Medeba Samshu, also laid siege to the city of Assur itself, but were forced away from the city in 1734BC. After a decade of internal conflict in Assuria, a new king seized power, and managed to reclaim land that was part of Ekurzakir's empire. Under this King Assuria survied several Kabier revolts, and experience massive wealth and trade. The native rule survived in until 394, when King Ditani made a vain attempt to recapture the Kingdom of Menaseh for Assuria, but was killed by Menashian soldiers. The two following Kings failed to maintain Assuria's borders, and the city was sacked in 383. The Nakba Wars (Kabier: حروب الردة, "The Catastrophe"), were a series of Islamic military campaigns launched by the Caliph Umilyyad, and his Sunni allies against the rebel Shia tribes, from 644 to 645 AD. The rebels wanted to establish their own Shia state independent from the rising Sunni Umilyyad. 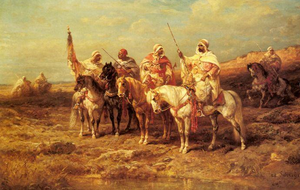 However, some rebels followed Caliph Umilyyad, or Saleh, who claimed prophethood. The Shia tribes that surronded the holy city of Ayjad did no rebel against the Caliph, which caused the Caliph to grant them right to remain inside the caliphate, undisturbed. The Shia (also known as Shiite) armies captured the holy city of Aminah, and held it for five months, and began construction of Shia mosques, before the Sunni armies drove them out. Immediately after the recapture of Amman, all Sunni structures inside the city were demolished, and any Shias remaining were beheaded. The Sunni victory at Aminah marked a turning point in the war, as Shia numbers began to dwindle, forcing them to fight a guerrilla war against the Caliph and his armies. Sunni armies crushed the final Shia force that was besieging the city of Ramallah, ending the rebellion, and handing absolute power to Caliph Umilyyad. With most of the tribes were defeated and reintegrated into the Caliphate, only a few Shia tribes refused to surrender to Caliph Umilyyad, and were exiled out of the empire, into Forgia. The mass exodus of Shia's from the Kabier Peninsula is widely believed to be the beginning of the Sunni-Shia secretariat conflict. Islam reached the coastal Bani Yousef clan in 650, which resulted Islam spreading through Kabier trade routes into the Far East, and into West Althena. The use of the name 'Abbasid' was first mentioned in 657, when the Bakri groups, mainly the members of the Bani Hamad tribe, some of which are Al-Rashid, and Al-Khalid, established the autonomous Kingdom of Abbasid within the Umilyyad Caliphate. The original Abbasids were excellent sailors, with trade routes stretching to Neridia, and as far as present day Insulo. Kabier tribes reached the Shaltivian Islands, where the new settlers established the town and port of Mahad and called it Mahé, after Sheikh Mahad al-Rashid. They were descendants of the Bani Hamad tribe who gradually migrated in the early 7th century from the Dahji Gulf. The tribes quickly spread throughout the islands of the Solvanese Ocean. However, the rule of the King was cut short with his assassination in 689, and his subsequent replacement by his son, Umar bin Sultan. Under Umar bin Sultan, Islam was adopted as the Caliphate's religion, and other religions were banned in public, and apostasy was punishable by death. In 701, the armies of Umar bin Sultan conquered the holy cities of Aminah and Ayjad from the Sharifate of Ayjad, officially annexing the Sharifate into his Islamic empire. The Umilyyads sought to create one Islamic state spanning all of Central Althena. To finance this, the Caliph imposed heavy taxes on the Christian and Jewish population, which aided the Umilyyads in the Kabier-Allajia Wars, which ended with the introduction of Islam to the Eastern Asmirivan tribes. The capital of the Caliphate was then moved from Al-Musaid (present day Rasheed) to Miqdaiyah (present day Sidayarah), along the Majda River in present day Esdaad. After the war the Umilyyads focused on the development of science, art, and economics. During this period the Kabier world became an intellectual center for science, philosophy, medicine and education; the Umilyyads championed the cause of knowledge and established the House of Wisdom (Bait-ul-Hikmat) at Sidayrah, where both Muslim and non-Muslim scholars sought to translate and gather all the world's knowledge into Kabier. The Kabiers showed a strong interest in assimilating the scientific knowledge of the civilizations they had overrun. The Golden Age eventually ending with a Civil War emerging between Caliph Shezadh's government, and his brother Nazeer. In the ensuing war thousands were killed, and dozens of cities were razed to the ground. The two brothers were eventually forced to reconcile, and agreed on the unification of both sides in to Caliphate of Umilyyad and Abbasid. Although peace was sustained, the Caliphate never recovered its importance prior to the Civil War. A few years later a coup by Sheikh Nazeer overthrew his brother´s government, and the Caliphate was renamed to Abbasid. Northern Andalusia (which was then called Esdaad, was invaded in 1001 by Christian explorers seeking to expel the Beidar Muslims. The war eventually ended in a crushing defeat for Christian armies in 1005, leaving the Muslims in control of much of present day Eilat. However they returned in 1006 with allies, pushing back the Beidars, and liberating major cities including Eilakim and Taza. Immediately following the conclusion of the war they established the Kingdom of Eilakim, and the State of Taza, to continue the Christianization of the region. There was a lengthy dispute over who should control the state. Tensions eventually led to the outbreak of the War of the Roses, spearheaded by the Etruscan prince Tiberius XIV. Tiberius and his allies eventually won, and established the Kingdom of Tiberius. 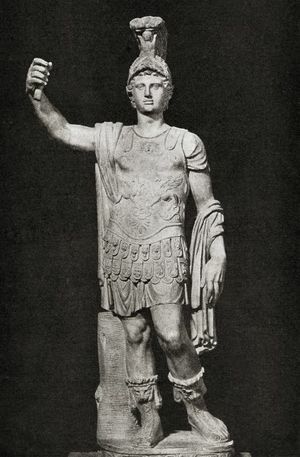 Following the establishment of the state, Tiberius died from a deadly epidemic that was spreading through his army. In 1335 the royal marriage between the House of Eilas and the House of Leon (Etrusque, then known as Estruia) collapsed after the acension of Tiberian born Prince Leopold to the throne of Tiberius. King Charles of Estruia rejected this, claiming Leopold was unable to rule, and did not possess the right as King. Leopold ignored this, provoking Esturia to seize the throne at Duisburg, killing Leopold in the process. Charles took the chance to crown hisself as king of both Estruia and Tiberius. 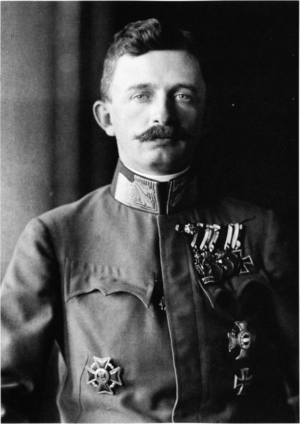 Leopold was the half brother of Prince Fredrick of Staufen, who disputed Charles' claim on the throne, as he was the closest relative of Leopold. In response, Fredrick rallied his armies and that of Tiberius, launching the first phase of the Hundred Year's War. The final phase of the war began in 1421, after Prince Edward had come of age, he launched what became the Edwardian War, seeking to reclaim land that was taken from Tiberius in the third war of succession. This time, the Etruscan's were backed by the Bakri, who sought to overthrow the Levantine state in Hejaz. Led on by false promises of revenge, the Bakri besieged Duis on three separate occasions, each time being driven away from the city walls. Tiberius greatly used it's possessions of a largely undeveloped population to wield a large field army, creating one of the largest standing armies in history. The end of the war's fourth phase came after the Siege of Littio in the southern Donan, where the two sides agreed to the Peace of Strasbourg, officially creating the Kingdom of Tiberias, under the undisputed House of Eilas, in 1466. Abbasid's history in the 20th Century was marked by a series of devastating conflicts, several years of political instability, and a sudden economic crash, but Abbasid emerged from the 20th century as the planet's largest oil producer, and one of the fastest growing economies. The turbulent years following several failed rebellions in 1934 were stained with internal strife between the scattered government, and the extremely impoverished population. Abbasid's only steady income was from pearling, but it was not able to support the growing nation. The call for independence from Etrusque largely originated within Tiberias, following three years of being a client state of the Etruscan Empire. The religious 'clash of cultures' built up gradually but inexorably into outbursts of violence against the perceived repression of the Elias Crown, which had close ties to royalty in Brunswick. The tensions led to storming of Clemens Palace in Duis, which later became known as Clemens Day, symbolizing the beginning of the rebellion. In Abbasid, the push for independence was largely ignored, with it's population being much more supporting of Etruscan control than Tiberias. Tiberias openly rejected the possibility of a union with the emirates in response. Etrusque took advantage of this, recruiting Beidars and Pied-Noirs to serve in it's armies against Tiberias. Etrusque was initially able to suppress the rebellion, but the tides changed when rebels captured Taza, depriving Etrusque of a major port, and taking control of several naval ships that lay in port. At this point, Brunswick, realizing it's chance to seriously weaken Etruscan power, intervened in favor of Tiberias, contributing almost 150,000 troops to the war, launching the North Sousse Campaign, against the Northen Beidar states. However, repeated Etruscan blunders in the war, and the disproportionate amount of Beidars being recruited caused a split in Beidar-Etruscan relations. To try and appease this growing discontent, Etrusque granted Abbasid a high level of autonomy, however this was not enough. Etrusque still retained most power in Abbasid, as the colonial government was itself Etruscan so it was not inclined to support Abbasidi outcries. To add to this the world was changing and much pressure was building between alliances. The Etruscan government's need for money to fund military endeavors meant higher taxes, and less income for Abbasidi citizens. This lead to the Rasheed incident in 1850, in which thousands took to the streets demanding Abbasidi independence, and for Etrusque to withdraw from the region. The tough Etruscan crackdown resulted in the deaths of over 300 protesters, and the destruction of over 75 buildings. Over the following days mass riots occurred throughout Abbasid. Two weeks later the riots had turned into a full blown rebellion. Soon,a multifaceted Civil War broke out, between the Beidar (Khalifji and the emirates) and Pied noirs (Sousse) population led by the Intifada League, against the Etruscan government. The Etruscan government immediately mobilized its forces, and deployed them to Abbasid. Unable to quell the fighting factions, Etruscan soldiers withdrew to Nasser, maintaining de jure control over Abbasid. However, Etrusque failed to change the rising nationalism that was sweeping through the territory. On 15 March 1851 Etrusque was forced to accept the First Treaty of Duis, which recognized Tiberian independence, and relinquishing claims to the Donan Peninsula. The failure of Etrusque's campaign fueled the Beidar's desire for their own independent nation. Several militant groups emerged within Ajman, destroying several Etruscan government buildings, and sabotaging it's infrastructure. Eventually the militants and the Etruscans agreed to a ceasefire, to allow negotiations for Ajman's independence to begin. The talks, led by Sheikh Mohammed al-Rashid ended in July 1869, with Etrusque announcing the Rasheed Agreement, which would establish a confederal state made up of the then 12 Beidar states, to form the Emirate of Ajman. The agreement did not include the city of Nasser, which would remain under Etruscan control. In November 1869, Etrusque began transferring control of military installations to the local authorities. Meanwhile, the Federal Supreme Council was formed out of the then 12 emirs of Amjad's 12 states, which then elected Sheikh Mohammed al-Rashid as Ajman's first king. The Constitution of Ajman, which was heavily influenced by that of Etrusque, established the state as a secular constitutional monarchy, and Ajman officially became de jure independent from Etrusque. However, Etrusque remained in de facto control of the country, wielding strong amounts of political power and influence over the country. The Jewish immigrants gained a foothold in Ras'dod (now Eilat), and began their long fight for the establishment of a Jewish state. Immediately following Ajman's independence, fighting broke out between it and Tiberias, which led up to the First Beidar-Tiberian War. During the war Tiberias deployed battle tactics used by Brunswick, utilizing the availability of cavalry to demoralize it's enemies. The tactics prove disastrous for the Beidars, who were driven back from Northern Ajman towards Deira and Jidda to the south. The war stalemated for months after King Luis XI halted his advance short of Rasheed. Tiberias gained naval superiority in the Battle of Casbah, before shelling Deira, Sabrallaj, and even threatening Etruscan control in Nasser. The Emperor of Etrusque nearly intervened, but this was deterred by the threat of a Braun declaration of war. The war ended with the Second Treaty of Duis, in which the Beidars relinquished much of it's Northern and Southern coast to Tiberias, including the holy cities of Ayjad and Aminah. The war was a complete embarrassment for the new state of Ajman. The industrial revolution began about 1870 in Tiberias as it sough to catch up with the West. The government built railroads, improved roads, and inaugurated a land reform program to prepare the country for further development. It inaugurated a new Western-based education system for all people, following the footsteps of Etrusque and Brunswick. Shipbuilding emerged as the largest industry, followed by textiles. Trans-oceanic travel became a focus area in Tiberias, with the founding of the Trans-Andalusian Line, competing against several larger Columbian companies. Ajman was initially slower to industrialize, but under King Mehmed, the state quickly introduced labor and social reforms. He replicated Tiberian tactics, adopting Columbian education systems, technology, and languages. He sent a group of high ranking officials to tour Tiberias to learn Columbian ways, Over this time, the state held ultimate power over the economy, allowing the country to rapidly catch up. Economic ties between Tiberias and Ajman grew closer during this time, and Tiberian hegemony continued to decline, as Ajman emerged as the only nation in the region capable of opposing Tiberian military might. Smaller states were gradually absorbed, with Ajman taking the smaller Beidar sheikhdoms, starting with Deira. Secular reforms in Ajman furthered it's growth, with the expansion of universal education and government healthcare. The standard of living increased greatly, while the birth rate grew significantly. After Tiberias regained indepedence following the Tiberian revolt, it sought to limit the growing influence of the Emirate of Ajman, which has successfully unified the Beidar emirates and threatened Tiberian control of Eilat. In 1915 Prince Carl launched the Second Beidar-Tiberian War, utilizing his powerful navy to subjugate coastal Beidar cities, such as Deira and Jidda. Sheikh Abdul of the Beidars formally surrendered on 9 April 1916, handing control of Rasheed and all of Sousse to the Tiberians. This contributed to the fall of the Emirate of Ajman, while giving rise to the Abbasidi State. The Abbasidi State invaded southern Tiberias on 15 March 1920, setting off the Third Beidar-Tiberian War. swiftly securing Esdaad from Abbasidi forces. The initial shock and threw Tiberias into into a sense of disarray, with Beidar troops rapidly advancing on the Tiberian capital. The war soon descended into a stalemate, with Tiberias mobilizing over a million soldiers to route the Abbasidi army. Fighting ended in less than 3 months, with over 100,000 dead and no territorial changes. Increasing tensions on the international stage led to Tiberias engaging in a rapid military buildup, to match that of it's fellow Columbian powers. However, this was a clear violation of the Treaty of Taza (which ended the Third Beidar-Tiberian War), causing Abbasid to follow suit. The Kingdom of Tiberias formed an alliance with the imperialist Empire of Brunswick, much to the dismay of Abbasid, which established an alliance with Etrusque, laying the foundation for a future confrontation. Several border clashes ensued between the two sides, but peace largely remained intact. The arms race reached it's height in 1939, with Tiberias gaining it's first battleship, the Strasbourg. Tiberian imperialism became the official policy of the Tiberian government, as it became increasingly militarized, and the king was further alienated from politics. Eventually, King Joseph's refusal to bow down to the war-mongering of the then Prime Minister Henry Foret forced him to abdicate, in favor of his militant son, Carl XIV. The new extreme-right government's war-machine quickly turned the population pro-war. With Braun backing, Tiberias attacked Abbasid with the intent of removing the last pockets of Beidar influence in what was to become Andalus. Immediately following the invasion of Abbasid, Etrusque declared war on Tiberias, mobilizing it's forces in Nasser. In response, Brunswick declared war on Etrusque, dragging the remainder of Columbia into the conflict. 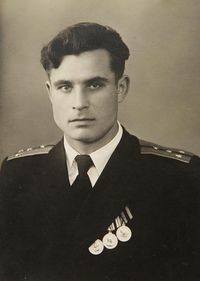 The first years of the war were mainly fought on sea, with the Tiberian Navy assaulting Beidar ports and coastal cities, hoping to draw the Abbasidi navy out of port. The campaign proved indecisive, with the Tiberians being routed by the Etruscan navy. Attention quickly turned to Etrusque in Nasser, while had largely stayed on the defensive side. Tiberian and Braun planes attacked the the Etruscan flotilla in the city of Nasser on October 14th, 1939, rendering it incapable of aiding the war effort. Brunswick invaded southern Abbasid on 15 March 1942, suprising the Abbasidi army, and seized the city of Nasser from combined Etrusco-Abbasidi forces. The initial shock and threw Abbasid into into a sense of disarray, with Braun troops rapidly advancing on the countries exposed flank, and the Etruscan forces scattered and demorilized. However, Abbasidi forces had begun to gather in and around Rasheed, stockpiling all weapons they that could be found. On 8 April 1942, an ambush staged by several Abbasidi militias attacked the Braun army from the west, destroying most of their military vehicles, and cutting their supply lines, forcing them to retreat. However, the fledging Abbasidi Air Force was distracted by the Braun forces that still controlled most of southern Abbasid, and were unable to detect the Tiberian invasion force landing near Deira on the country's east coast. With Abbasid now clearly under major threat, a rapid mobilization ensued, with thousands joining the Abbasidi army, some without adequate training, and being deployed to the front lines. Abbasidi forces broke through the Braun line at Al-Asafiyah, and chased them back across the border, towards Nasser. With renewed strength and morale, the Etruscans launched a offensive against the Braun battalion stationed in Nasser. The Braun forces had hastily evacuated the city for Tiberian-held lands, leaving behind strategic amounts of weapons and vehicles. The now organized Royal Abbasid Defense Forces gradually retook its lost land, and began planning an invasion of Tiberias via the Amaar Passage. However the invasion was called off, as the focus of the war had shifted to Eilat. Abbasid seized the port of Yafo from Tiberian forces, but was unable to secure the provincial capital of Eliakim, and the front eventually stalemated. Following the failure of the Eilat campaign, no major battles or campaigns took place. Fighting was largely reduced to occasional cross-border raids and limited air raids on both sides. The industrial capacity of Tiberias had been badly damaged, with a total of 66% of the Tiberian heartland having been reduced to fields of rubble and ash. Almost 75% of the city of Duis had been leveled by nearly constant attacks, and it's population had dwindled to less than 55,000, from a pre-war population of four million. The devastation was similar in Abbasid, which suffered a serious blow to its industrial and agricultural production. In total, Andalusia lost 24% of it's prewar population of 41,274,892 (9,905,974 total killed), industrial output fell 87% and the currencies of Tiberias and Abbasid (the Eber and the Diyar) fell 91% and 84% in value respectively. The enormous scale of the devestation forced the two sides to the barganing table, and representatives of the respecitve governments met in Adoni, Apomo, to work out a cohesive peace agreement. Negotiations were on and off, and were continously plagued by ceasefire violations and hit-and-run attacks, as the two sides struggled to draw a meaningful concession from the other. A peacetreaty was signed on 10 September 1948, which laid a time-table for a confederation between Tiberias and Abbasid would be formed within a month, under the name Andalusia, marking the unification of the island since the years 1500s. Andalusia emerged from the Great War unified, but still grappling with internal divisions, presenting a series of new problems. After a short period of provisional government initially led by General Charles de Gaulle, a new constitution (October 13, 1946) established the Fourth Republic under a parliamentary form of government controlled by a series of coalitions. The inability of the Beidars and the Levantines to come to a cohesive power-sharing agreement lead to successive short lived governments and cabinet crises. Tiberian colonial wars in Mozamba and anti-colonial sentiment in East Althena resulted in several crushing defeats, further hurting Tiberias's military ability. Tensions boiled over several times in Sousse, mostly due to the deterioation of ethnic relations (usually between the Pied-Noirs and Tiberians). The refusal of the government to grant them equal rights would eventually led to a civil and political crisis in Andalus, one which threatened to destroy the fragile unity. The growing backlash against a government dominated by Tiberias continued to gain traction in Southern Andalus, and eventually the people began to turn on the once popular Beidar officials. In response, Prime Minister Foret backtracked on his concessions, and took direct authority over Sousse and Abbasid in order to stabilize them. Instead of federation of two Andalusian peoples, as many Beidars had imagined, the Confederation turned into a state completely dominated by Tiberias. In the process, the strongly centralized Tiberian state imposed Foret’s nationalistic political and economical system on weaker Abbasid, creating backlash from the Abbasidi business and army circles, which resulted in the Abbasidi insurrection, and the beginning of the Beidar insurgency. 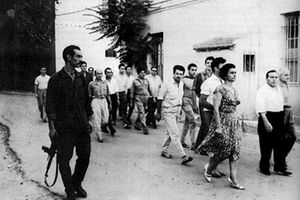 Prime Minister Foret quickly embarked on a heavy-handed operation to quell the uprising, and within a year, virtually all resistance had been destroyed. Frustration within far-left groups against the Tiberian dominated government which had failed to deliver on its promises of new social-democratic reforms. Mass protests and demonstrations were brutally crushed by the Andalusian Defense Forces, causing a massive shift in public opinion to support the Worker's Party. 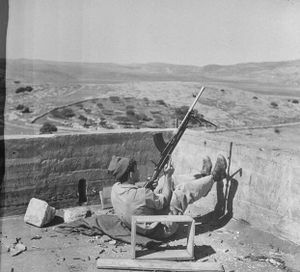 Fighting broke out in August 1948, with the 2+1 Incident, and officially ended when major active battles ceased in 1972 following the deadly Rashaya Crisis, although there was a lull in fighting between 1952 and 1970. The conflict eventually resulted in two de facto states, the Andalusian Confederation on Apomo, and the communist government of the Republic of Andalus, both claiming to be the legitimate government of Andalus. However, Apomo was eventually captured by the Communists in 1974 after the ouster of the Royal Tiberian family in the White Revolution, effectively reducing Tiberian control to the Donan peninsula. However, the Civil War was largely seen as a Beidar uprising against the Tiberian monarchy, as King Philip had spent much of his reign alienating Beidars from political involvement and public life. The rebellion army often described itself as the "Abbasidi Liberation Army" reflecting its role as a leading Beidar force. Following the collapse of the Tiberian monarchy to Republican army, the remainder of the Royal Government fled across the Tiberian Channel to Donan, setting up a government-in-exile. In the months that followed, over 2 million more people fled from mainland Abbasid to the peninsula, even after the Republic gained control over the area. The Republic of Andalus, began a rapid military buildup, while lobbying to be recognized as the legitimate government of the Andalusian people. The proposal gained little support, with strong opposition from Etrusque, the Kingdom of Andalus, and Eilat. In response, President Nasser ordered the seizure of Rahmat, and the blockade of Nasser, which he claimed belonged to the Beidars of Andalus. The leaders of Etrusque, Eilat, and Andalus met secretly aboard the Etruscan ship La liberté, and formed the Tripartite, with the aim of retaking the Andalusian mainland from the forces loyal to President Faisal. Eilat struck first, targeting Abbasidi air force bases and launching a quick ground invasion of Rashaya. Within seven days, Eialt seized the Rashaya strip and began pushing east into Tiberias. A joint Royalist-Etruscan invasion force crossed through Nasser and invaded Khalifji, facing tough resistance from Republican forces that had been preparing for war. After several days of fighting, they broke through the Republican front line, and threatened central Abbasid. In the ensuing chaos, President Faisal ordered the forceful removal of Bakri tribes out of fear of their cooperation with Etrusque. The Bakri population resisted, causing them to join the coalition in opposing Faisal. Due to the complex Bakri language, they were used to transmit messages between the coalition members. Disunity among those under President Faisal led to several splits in alliances, which led to a rebellion amongst the Tiberian population, driving out Republican forces and welcoming the Eilai army. Prisoners being rounded up in Republican-occupied Nasser. On the brink of a Republican defeat, Faisal rallied his Khalifjian allies, forcing back and surrounding the joint Royalist-Etruscan invasion force. Bloody fighting ensued, accumulating in the Battle of Sidayarah, the bloodiest battle in the war. The southern invasion crumbled, forcing the Coalition back into Nasser, where they were battered by the ROA Navy. It quickly descended into trench warfare, as the Republican army forced it's way in Nasser. The city changed hands 5 times, before it was captured by the ROAAF. The city had been reduced to nothing but rubble, and most of the population had either been killed, or had fled to Apomo or the Ramada Islands. The war eventually ground into a stalemate, with neither side able to dislodge the other from their strongholds. The Eilai advance was halted north of Rasheed, at Abdullah, in the largest tank battle if the war. International pressure on both sides to end the fighting and de-escalate the region eventually forced the agreement to a ceasefire, and both sides withdrew to their pre-war borders. At the last minute, Eilat withdrew from the deal, fortifying Rashaya while withdrawing from Tiberias and the rest of Abbasid. Republican Andalusian armies quickly moved in, massacring the local population, crushing the rebel forces. President Faisal warned Eilat to withdraw from Rashaya, or face utter annihilation. Eilat refused, bringing the two sides on the edge of another confrontation. This was only deterred by the threat of nuclear strikes by Etrusque. The war proved to be a complete political disaster for the Coalition, drawing much international condemnation, and permanently damaging their international images. Political recognition declined rapidly, and the international community voted overwhelmingly to recognize the Republic over the Kingdom of Andalus. Public anger over the Coalition's failure led to the Andalusian royal forces being thrown out of Apomo and Donan (which later declared itself an independent principality), and exiled to Okaiken. It also contributed to resignation of the Etruscan Prime Minister and a major shift in the Eilai political spectrum. However, it is considered a military victory for the Coalition, as it defeat the Republican army, which was twice it's size, and prevented President Faisal's government from seizing control of Donan, and the Royal government in exile. The years following the conclusion of the Civil War involved immense reconstruction and economic reforms. President Faisal pushed for rapid industrialization, while embracing some market strategies. The successful implementation of the 1973 Oil embargo led oil prices to triple. Between 1974 and 1980 Andalus' economy grew by 350%, far outpacing that of the Kingdom in the years before. Millions of people were resettled However, Faisal was a strong opponent of religion, and openly suppressed religious practices. Mosques and churches were constantly under the threat of closure by the socialist government. During the years of the Republic, Andalus became a staunch supporter of anti-imperialist, leftist-revolutions that were taking place throughout the world. President Faisal oversaw the propping up of several revolutionary regimes, most notably the quasi-Communist government of Arriola. Andalus shifted away from its traditional allies (the West), and aligned itself with the emerging and largely exploited agrarian societies of East Althena and Mozamba. Andalus went on to lead the Rasheed Pact, a loose coalition of developing nations with the purpose of collectively defending against Imperialism and anti-revolutionary actions from opposing nations. Faisal severed relations with nations that continued to recognize the Andalusian Federation, including Okaiken, the Republic of Peilan, and most of the Columbian nations, but extended a hand of friendship, in exchange for them switching recognition. Domestically, Faisal led the nation through a period of rapid liberalization, introducing reforms such as free university and healthcare for all resident of Andalus, a relatively peaceful redistribution of land. He oversaw the elevation of women to positions of power, while expanding the rights of minorities and LGBT groups, laying the groundwork for later Andalusian developments. Over five million immigrants would enter Andalus during the time of the Republic, establishing highly visible communities throughout Andalusia. After the ending of hostilities, the newly unified Andalus struggled to form a united entity. The wide religious and linguistic differences between the Tiberians and the Beidars was seen as the first major obstacle to Andalusian unity. The PSDT fully embraced statism, which was essential in combating the rampant racism and inequality that was faced by much of the population. The Andalusian propaganda machine was utilized to produce media which promoted cooperation, opposition to capitalism, and socialism. The era of economic growth raised Andalus from post war devastation to become one of the developed nations of Columbia. Prime Minister Matéo Pasternak, a Levantine military officer, was appointed by Faisal in 1962, and quickly rose to become the second most powerful man in the party. He facilitated the easing on restrictions on the Andalusian media industry, while suppressing right-wing sentiment which was labelled as "un-Andalusian". Pasternak established the vision of what was to become the "New Andalusian Worker", as postulated by the ideologists of the Social Democratic Labor Party. This idea of a New Andalusia were pressed by the Party, in the hopes of creating a unified Andalusian people, irrespective of religious, cultural, and ethnic diversity. It was later enshrined in official party guidelines, and was disseminated to the public through the publication of An Andalusian Man (1964). Andalusian culture flourished at this time, blending Beidar, and Etruscan music, art, and cinema together, becoming one of the most distinct and desirable in the world, in what was known as the Andalusian effect or the Andalusian wave. Religious influence declined considerably during this time, with church attendance falling below 16% (1965). Counterculture, the youth movement and the Sexual revolution emerged in the 1960s and spread further in the 1970s. Public officials endorsed these movements in the hopes of furthering their anti-theist agenda. The reforms became known as Mirandalou, a stylized Etruscan form "Andalusian Miracle". of the Part of the reason for launching the White Revolution was that the Shah hoped to get rid of the influence of big businesses in Tiberias over the rest of the country and create a new base of support among the poor and working class. The bulk of the program was aimed at Andalus' peasantry, a class the King hoped to gain as an ally to thwart the threat of the increasingly hostile Tiberian higher class. Thus Mirandalou and the White Revolution in Andalus represented a new attempt to introduce reform from above and eliminate traditional power patterns. While Mirandalou was viewed as a time of liberation and reform, it also marked a period of aggressive government programs and action. The PSDT stressed the need for Andalusian uniformity, while intensifying international efforts for both recognition and legitimization. State control of the economy was forcefully exerted, in what was called necessary "belt-tightening", and efforts to contain counter-revolutionary movements were doubled. During the Andalusian Spring, Queen Lycee was welcomed to Nasser by hundreds of thousands of people in the streets; marking the first visit by Andalusian royalty in history. King Jorge died in 1966, and his only heir was his daughter, Lycee. The government refused to recognize her as the legal heir, due to her mother's Palavi background, backed by the religious right. She was forced to flee the country in July 1966, much to international anger. Immediately, protests against the government began, with the motto "Je Suis Lycee". The movement quickly gained international attention, and garned worldwide support after an assasination attempt on Lycee in Nasser in 1968. Immediately calls to abolish the monarchy were suppressed, causing a spike in support for republicanism. Protests grew rapidly, with Duis being their focal point. An anti-government gathering at Monet University in Duis was attacked by the National Guard, resulting in 52 people killed. The protesters, comprised of Liberals, Libertarians, feminists, and pacifists quickly spread throughout the country, while the crisis broke international headlines. They boycotted the 1967 elections in protest, allowing the Conservative Party to win. Suppression of the protests continued, while a gag order on media coverage was extended forcing several media outlets to flee the country. However, the growing protests combined with increasing international pressure led to the downfall of the conservative government, resulting in the crowning of Lycee as Queen in 1970. As Queen, she relinquished some of her power in order to establish a genuine, democracy, but still held large amounts of influence over Andalusian culture and politics. She developed a following within Andalusia and the world, with her stylish fashion and strong commitment to human rights and child development. She often traveled the world with her family, visiting international capitals and embassies. She continued on the path of secularism and modernization initiated by her father. Following the failure of the Tripartite's objectives in the Rashaya Crisis, President Faisal was empowered to seize control of the situation, and decided to capitlize on the Western dependence on Andalusian petroleum. On 30 March 1973 he announced a 75% reduction in Andalusian oil production, which caused the price of oil to triple from $4/gallon to $12/gallon. It was officially declared an oil embargo the next day. Oil prices continued to rise, and several other oil producing nations joined the embargo, in protest of the illegal Tripartite aggression, and the refusal of the Adonian Community to recognize the Republic of Andalus. The embargo occurred at a time of rising petroleum consumption by industrialized countries and coincided with a sharp increase in oil imports by the world's largest oil consumers, along with a peak (and subsequent decline) in international oil output. Eventually the oil producing nations formed the Association of Petroleum Exporting Nations (AOPEN), to coordinate their oil production and to debate quotas. The AOPEN followed up with a further 5% decline in production in June, and a further 3% decrease for every month after that, cutting nearly 50% of the total global output. Markets tumbled worldwide, and Etrusque the entire stock exchange crashed, triggering the Black Sunday crisis. Finally, with the threat of a global meltdown, the Adonian Community passed Resolution 334, which withdrew recognition of the Andalusian Confederation, recognized the Republic, and strongly condemned the Tripartite aggression. Subsequent resolutions aimed at strengthening laws protecting national sovereignty and territorial integrity convinced the members of the AOPEN to lift their embargo, but oil prices would remain above $12. The 1973 "oil price shock", with the accompanying 1973–74 energy crisis were regarded as the first of many Andalusian tactics to raise its international clout. The embargo's success demonstrated for the first time, the diplomatic and economic power of Andalus. It was the largest oil exporter and held the unchallenged potential to sway international views to fit its own agenda. Andalus spent much of the early 21st century implementing strict social-democratic policies while strengthening the union between Sousse, Tiberias, and Abbasid. The ability of the nation to maintain it's delicate ethnic balance was interrupted with the rise of the far right Tiberian party "National Front" which won the majority of Tiberian seats in the 2002 elections, after widespread opposition to the central government's immigration policy. Social programs were expanded, and the government launched the Vision 2021 mission, which aimed to establish the nation as a green, united nation by 2021. The program focused on social development, to eliminate the last remnants of President Faisal's impact on Abbasidi society. In 2007 the government reopened rapprochement efforts with Rahmat, where they signed the Rahmat Ascension Treaty, in which Rahmat would gradually be re-integrated in Andalsian society as a full state. Immediately Sousse and Tiberias rejected this, as it would tip the balance of power to that of the Beidars-and Khalifji. Instead, they offered to admit it as a special administrative rights, with no representation in Andalusian politics. This was immediately rejected by Rahmat, which subsequently voided the treaty, to remain independent. Increased immigration into Andalus fueled public anger that contributed the massive gains by the Conservative CDU in Tiberias and the Freedom and Justice Party in the national elections. Reports of racism and xenophobia spiked in 2014, to their highest levels since the 1970s, during the years of the Republic. For the first time in Andalus' history, a far-right group entered the Andalusian Parliament, the ultra-nationalist People's Party. The governing Socialist Party reacted with alarm at the quick rise of the National Front in Tiberias, which appealed to the younger votes, who believed their job were being taken, and immigrants came to take advantage of free education and healthcare. In the next elections, the People's Party is expected to gain 31% of all votes, to become the largest party in Parliament. Widespread dissatisfaction with the Social Democratic parties in Tiberias, Nasser and Sousse have seen polls tip in favor of their far-right parties. During this time the issue of the ethnic background of the original Abbasids arose, as a dispute between the SDP and the National Front. The belief that the original Abbasids were Beidars is generally accepted among Abbasidi politicians, however the NF insists that the original population originated in the east most likely the ancestors of the Bakri people, due to their lighter skin, and architectural styles. Constantin Daviau specifically points to the Bakri population, which bears great resemblance to the Levantines with their skin color, but have completely different language. Bakri religious beliefs (Yazidism), and their language has no connection to Beidar or Etruscan, but resemble that of Delian. This view is plausible, as Bakri writing symbols are almost identical to that of the Delian language, but the distance between Delos and Abbasid makes this view harder to accept. Along with this Yazidism beliefs show the existence of 12 major deities, along with several lesser gods, which matches that of Delos. This view is rejected as anti-Beidar rhetoric, which the National Front is notorious for, but has found increased acceptance from the general Andalusian population in recent years. Mass protests in major cities like Nasser, Taza, and Rasheed against the encroachment on their cultures by immigrants and Islam following the 2014 Deira train bombings further contributed to their rise. The Beidar-majority states such as Deira, Khalifji, and Umm-Salal have become increasingly alienated from mainstream Abbasidi politics and culture, creating what the Socialist Party called "de facto segregation". Prime Minister Mansour Reza has warned the public to no "fall under the sway of a fascist movement" which threatens to undo the delicate union between the states of Abbasid. Support for these "new right" parties is strongest among the Pied-noir and Levantine population, which make up about 68% of the population. King Hamdan (a ethnic Pied-noir) along with King Felix (Levantine) joined to head the "Better Together" campaign to promote unity and cooperation between the ethnic groups in the face of the 2015 Tiberian elections, which would decide the fate of Tiberias' union with Andalus and Khalifji. However, in the 2015 general elections, strong campaigns by moderate parties routed the far-right parties, affirmed by strong Beidar backing. The widespread fear and anger that followed the complex 2014 Deira train bombings led to a series of large anti-Islam and anti-Beidar protests spreading throughout the rest of Andalus, most notably Nasser, Tiberias, and Sousse. The close proximity of the attacks in relation to the ending on the Abbasidi election period was thought to be intentional planning, to sway the vote. The elections heralded the landslide victory of Ahmad Ziad and his right-wing Beidar National Party, which pledged the removal of "Imperialist Tiberians from Abbasid forever", much to the dismay of the rest of Andalusia. The sabre-rattling of Ziad and his party unnerved the ruling Andalusian Socialist Party, and caused a spike in xenophobic attacks in Tiberias. Over 200,000 Tiberians marched in the March against Islam, led by the right-wing organization Tiberians against the Islamization of Andalusia (TCIA), sparking several branches in other Andalusian cities. In response, thousands of Beidars living in the affected states turned out in counter protests, against the rising xenophobia in Andalusian society and politics, and the seemingly apathy of the government towards these issues. The two sides clashed in the streets of major cities for 3 days in what became known as the Days of Broken Glass, before a state of emergency was declared by Prime Minister Reza. A day later the Andalusian Parliament passed a bill that indefinitely stripped the government of Abbasid of its ₡126 billion in federal aid that it recieved from the central government, and halted federal funding for several essential Abbasidi projects. The move, which was intended to force Ziad and his party to back down and return to the negotiating table, only emboldened him and his approval rating skyrocketed among Andalusian Beidars. Ziad declared the 1983 Acts of the Union "null and void" on New Years Day in 2015, alleging "the rights of Beidars throughout Andalusia have been violated repeatedly for centuries. No longer shall we be humiliated." In response, Prime Minsiter Reza initiated the impeachment process to remove Ziad from power, and the Socialist Party along with the Green Party filed a lawsuit with the Supreme Court of Andalus against Ziad and the BNP, on accounts of racism, treason, and inciting violence. Protests against the Prime Minister exploded in numbers, and his approval rating fell across Andalusia, with the Socialist Party's popularity halved in Abbasid, tumbled 25% in Sousse, and 13% in Tiberias. Over one million Beidars marched in Deira against Reza and his party, and an addition 3 million marched in cities across Andalusia. 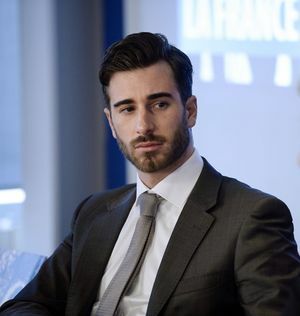 On 13 March 2015, Reza announced his retiring from politics, and the merging of the Socialist Party and the Green Party into The Left, to bolster their position in the face of uncertainty in the approaching 2015 election. The 2015 elections resulted in a suprise victory for The Left, which adopted a conciliatory position towards Beidars, and announced its intentions to introduce legislation aimed at mending the damaged links between Tiberias and Abbasid, but has maintained the animostiy between itself and the Beidar National Party, and has silently backed the Supreme Court case against Ziad. This page was last edited on 8 June 2016, at 22:10.